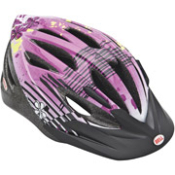 Keep your child safe with the CSPC approved bicycle helmet. Includes vent holes to keep their head cool. Please specify size. Colors and styles may vary.